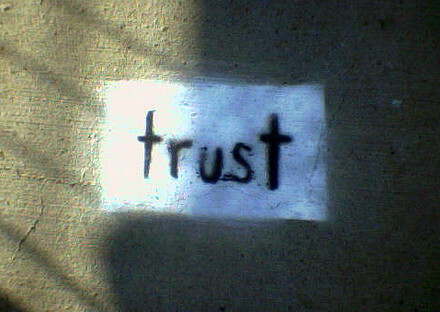 Trust is an important concept in commerce. It underlies every deal, making every transaction appear more or less hazardous. This in turn affects the likelihood of consumers buying into your advertising and PR efforts. This article will address the global falling trust in businesses and their representative CEOs, the implications of the growth of search engines as a trusted source of information and the growing importance of thought leader mobilization to compensate for the decrease in trust allotted to CEOs. Trust in CEOs continued to decline, reaching a new all-time low. At the same time, 40 or less percent of people globally trust the media. For the first time ever, search engines are now the most trusted source for news and information. As age decreases, the amount of trust in search engines increases. Utilizing this shift in the growing trusts, search engines as a news source provide many opportunities for companies’ owned content to positively affect their perception. Search engines’ rise to become the top source for general information and confirmation source for news has great implications on the perception of businesses going forward. Search engines have democratized content. Consequently, you don’t need to affect trust through the sheer economic privilege of possessing the resources to print more paper. The number of producers has also swelled and search rankings, while accounting for the source, favor top content. This gives the average Internet-equipped individual the capacity to inflict greater favor or harm to companies to which they associate themselves. The level of trust a consumer has in different aspects of a company’s behavior shifts depending on the presumed job exposure to the issue being assessed. Across nearly every sector, in-house technical experts surpass CEO trust scores by more than 20 percentage points. Conclusion: CEOs are not perceived to be trustworthy concerning their thoughts on the technicalities of innovation. This is perhaps, due to a perceived lack of involvement with the technical aspects. This hypothesis is further strengthened by the fact that out of three positions (regular worker, in-house expert and CEO) in-house technical experts ranked ahead of CEOs but behind regular workers. Want to establish yourself as a thought leader? Watch Dorie Clark’s on-demand webinar now! The key to rebuilding a lack of trust is mobilizing one’s workforce into advocates in the areas they are most equipped to comment. This can include the integration of the communication team with all other areas of the company, providing communicators a better understanding of the issues and successes across the business. This, in turn, will help them use that information to inform media, consumers and other stakeholders and provide suggestions for improving the company’s current state. The communicators should then return to their collaborators, thanking them, communicating changes and asking them to comment on the new state of things. This allows company workers to feel genuinely included and listened to, allowing them to be more forthcoming as to the causes of crisis and or inefficiency. Thought leadership should be part of every company and should include information from communication professionals and other workers. Articles will grant greater insight into how the company can improve during the many and varied stages of the business processes. While it’s important to understand the qualms of company workers, I strongly suggest a company not equip employees outside of their communication staff to produce owned content on behalf of the brand. The reason is simple; a filter is needed not only to remove information that could be harmful to the company but also fix biases, grammar, syntax and other components that could drastically affect how the piece is perceived. Did a trust issue turn into a full-fledged company crisis? Learn how to respond with our white paper! Jeremy Bamidele is a corporate communications specialist, publicist, and journalist based out of Los Angeles.